Laufenn is a newer tire brand, produced by Hankook Tire, a South Korean company that is the 7th largest tire company in the world. Hankook is known for having excellent high performance car tires, and for light truck/SUV and heavy-duty commercial tires. The Laufenn tire line-up is small, featuring 4 lines of tires that have the naming convention of a letter followed by the word "Fit". Below are the categories and the average review rating. 4.3 out of 5 based on 5 user ratings as of 3/18/18. The Laufenn G Fit AS is a Touring All-Season tire optimized for road comfort and quiet. Since we haven't been able to find many reviews, we would recommend comparing against our best rated touring tires list before buying. The S Fit AS is Laufenn's UHP (Ultra High Performance) All-Season tire. It's optimized for aggressive handling. Early reviews are decent. We would recommend comparing against our best rated tires list before buying. 4.4 out of 5 based on 13 user ratings as of 3/18/18. The Laufenn X Fit HT is a Highway All-Season tire suitable for many light trucks and SUVs. It has decent initial ratings with an affordable price. 4.7 out of 5 based on 21 user ratings as of 3/18/18. 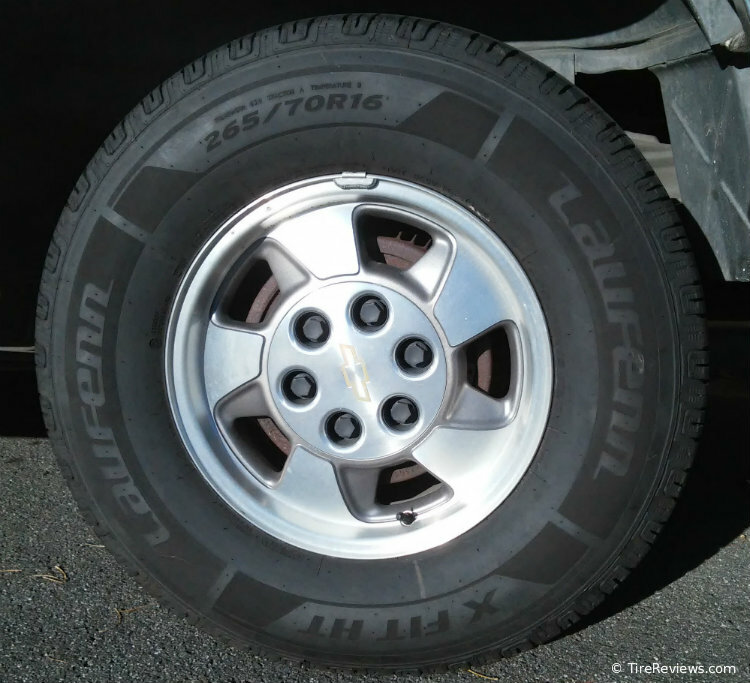 Pictured below is a Laufenn X-FIT HT 265/70R16 tire mounted on a Chevy Tahoe SUV.